One of a Kind Fabulous Old World Stone & Brick Open Ranch Plan nestled on a gorgeous Private Wooded lot. Beautiful Gardens, Extensive Landscaping, up lighting & More! 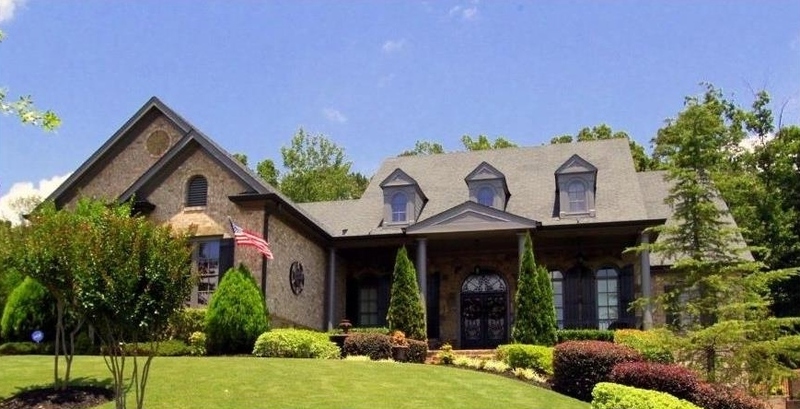 Soaring 12 Ft Ceilings w/Custom Heavy Trim and Finishings', Coffered Ceiling in Family room w/Stacked Stone Fireplace. Gourmet Kitchen w/State of the Art SS Appliances. Private Master Ste w/Spa Bth, Spacious Secondary Bdrms! Private upper Ste offering Office area, 4th Bdrm/full Bath & Serving Bar. Full lower level~Ready for finishings & Tons of Storage. Let's Golf! Best Gwinnett Schools! Perfect Condition!